I have now bought several items from this site. Aside from the amazing line of products, fabrics and choices, they have an incredibly quick delivery time. When I wasn't sure on the sizing of a few items, I returned and exchanged with no issues and once again, quick return time. Definitely recommend to anyone in the market of vintage or old style looks. Will be buying again and again. 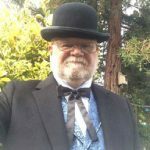 Very neat website for historical clothing. A little pricey in my opinion especially when you add shipping charges, but the Trousers we bought seem to be pretty good quality and we are happy with our purchase. Shipping is amazing, I had my order in about a week, all the way from California to Kentucky - very impressed with that. The item I ordered was received in an amazingly short time!!! Historical emporium has yet to disappoint. Items always come quickly and as ordered. I recommend your site often and I appreciate the quality of your clothes as they are well worn and hold up beautifully with frequent washing. The product was of high quality and delivered way sooner than expected. Very happy. Great products. Very quick delivery!!! Did exactly w hat they said they would!